Objectives : Teenage marriage results in social, cultural and economic problems. Domestic violence is one of these problems. Based on research evidence, the present article attempts to provide a documentary image of domestic violence in early marriages. 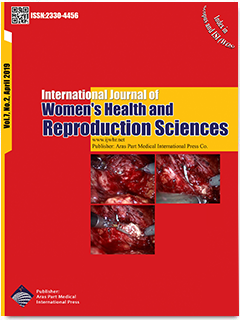 Materials and Methods : This review was done by searching databases of, Web of Science, Cochrane Library, Science Direct, PubMed, Scientific Information Database (SID), Google Scholar, Magiran, Irandoc and Iranmedex using MeSH keywords of dating violence, intimate partner violence (IPV), teenage marriage, domestic violence, between 2000-2018. A total of 176 articles were obtained, of which papers were selected for review. The approach of GRADE was used to order quality of evidence. Results: The general prevalence of domestic violence varies from 7% to 48% in the world and from 10.7% to 93% in Iran. IPV is more prevalent in younger women, Psychological and physical violence is higher in this group. The prevalence of domestic violence in pregnancy varies from 2% to 43.5%. Women experience more violence in three months pre- pregnancy, the first six months of pregnancy and three months after childbirth. During pregnancy, domestic violence is related with complications of preterm labor, low birth weight, vaginal bleeding, and hospitalization. Depression, panic attacks, excessive alcohol use, eating disorders and suicidal thoughts are the mental health disorders resulted from domestic violence. Conclusions: Young women are sacrifice of violence in their most active years of life, which is along with the most harm in the society in health, economics, cultural and social terms. Considering its high rate, by increasing public awareness and cooperation of the related organizations, teenage marriage can be prevented.